System Recordings News: JMP & Sacco 'Talkin' Pad' - Available Now! JMP & Sacco 'Talkin' Pad' - Available Now! 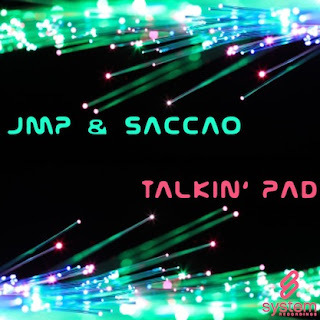 December 23, 2010 - JMP & SACCAO write the truth with "TALKIN' PAD", featuring the progressive-yet-funky ORIGINAL MIX and ORLI & DA RAGINO REMIX, and the techy DJ TIM & NIKKO.Z DUB.